As a child I loved all the children's Christmas shows. Rudolf the Red Nosed Reindeer, Merry Christmas Charlie Brown, Santa Claus is Coming to Town, and How the Grinch Stole Christmas, to name a few. With no videos, cable, NetFlix or DVR these shows were once a year opportunities. If you missed a show, you wouldn't see it again for an entire year. So, these were BIG events in my childhood. I was so addicted to these shows that, looking back, I can now discern that everything I know about Christmas I learned from TV. Specifically, I learned from TV three big lessons about Christmas. The first lesson I learned was from How the Grinch Stole Christmas. The lesson was this: There is something special about Christmas. Something that transcended the presents, Christmas trees, meals, or decorations. Christmas, to quote from How the Grinch Stole Christmas, was "a little bit more" than all these things. If you don't recall the show, here's the basic plot. 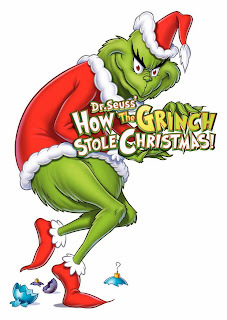 The Grinch, who lives in the mountains high above Whoville, hates the noise associated with Christmas. So, he dresses up like Santa Claus and ties a horn on the head of his dog Max to make him look like a reindeer. In these disguises they set off for Whoville. Once in Whoville the Grinch proceeds to steal all the Christmas presents, trees, decorations, and food. He packs all this up and heads back up the mountain just as Christmas day is dawning. The Grinch's plan is simple. He figures that if he takes away all the Christmas "stuff" the Whos won't be able to celebrate Christmas. And this realization has such a profound effect upon the Grinch that his heart, previously two sizes too small, grew three sizes that day. So, I learned from How the Grinch Stole Christmas that Christmas was more than ribbons or tags. More than packages, boxes, or bags. Christmas was MORE. 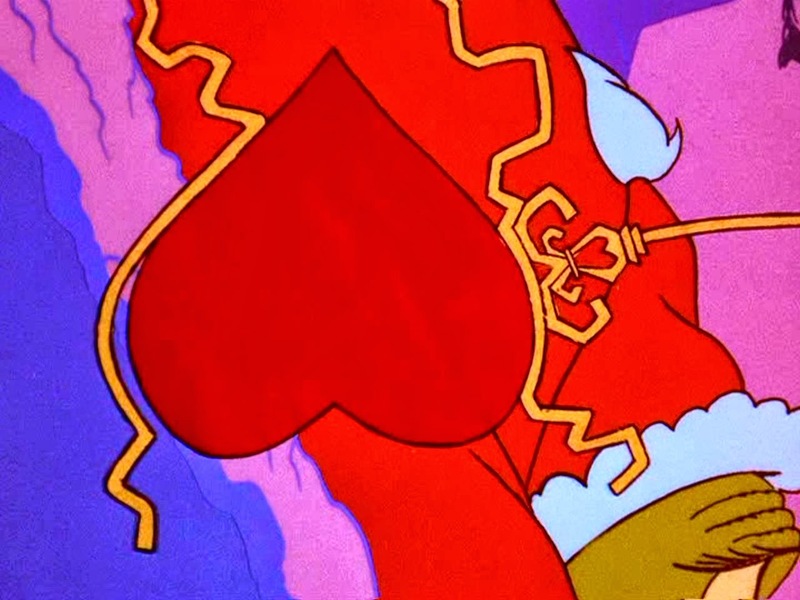 But here was the deeply puzzling thing about How the Grinch Stole Christmas. Watch it as many times as you want and it will never be revealed just what Christmas was truly about. How the Grinch Stole Christmas is a negative tale. It tells you what Christmas isn't. But it fails, in a quite puzzling way, to tell you what Christmas is. After watching How the Grinch Stole Christmas l knew there was something special about Christmas. But How the Grinch Stole Christmas never says exactly why Christmas is special. I got a clue to answering this question by watching that classic Christmas program Rudolph the Red-Nosed Reindeer. 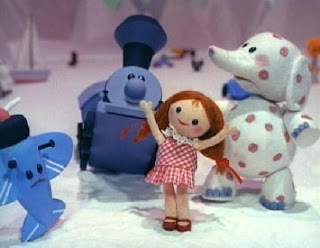 The entire plot of Rudolph centers around misfits. The central misfits are Rudolph and the elf Hermey. Rudolph, obviously, has some kind of genetic mutation. He's got a red nose and that, well, just isn't natural. So he is shunned, mocked, and excluded from the reindeer games. So Hermey and Rudolph leave Christmas Town and set out on their own. "Wake up! Don't you know that it's time to come out!" And it's all because of Santa Claus. The kind that will even say, "How do you do?" How would you like to be a Spotted Elephant? Or a Choo-Choo with square wheels on your caboose? Or a water pistol that shoots -- jelly? How would you like to be a bird that doesn't fly? I swim! Or a cowboy who rides an ostrich? Or a boat that can't stay afloat? The most wonderful, wonderful, wonderful, wonderful, wonderful day of the year! At this point in the show all the misfit themes are coming to a climax. We see misfits seeking community, we see empathy as one misfit identifies with another, and, finally, we see one misfit seeking to act as savior. A misfit to save the misfits. A misfit Messiah. 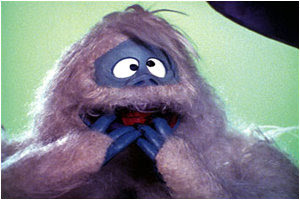 But the theology of Rudolph takes its most radical, surprising, and extreme turn when the personification of evil, The Abominable Snowman, comes back from death in a quirky resurrection event--Bumble's Bounce!--as a peaceable creature who is also in need of loving community. Apparently, this "evil" creature is also a misfit. And the hint is that he's "abominable" because he's been marginalized and without community. 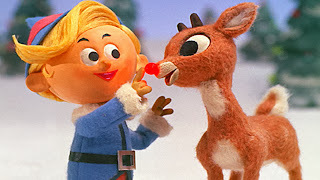 So, summarizing all this, I learned from Rudolph this important lesson about Christmas: Something about Christmas means misfits have a place, a community, a home. Or, rephrased, Christmas means that there are no more misfits. But I was still puzzled as a child. 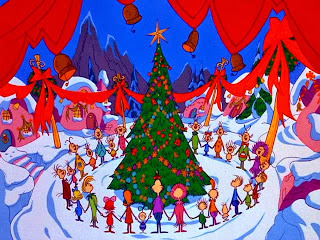 From How the Grinch Stole Christmas I learned that Christmas was more than presents and Christmas trees. And from Rudolph the Red-Nosed Reindeer I learned that Christmas had something to do with misfits finding a place of love. But in both shows the reason behind it all remained elusive. Why do misfits have a home? And what does being a misfit have to do with Christmas? Rudolph the Red-Nosed Reindeer never says. 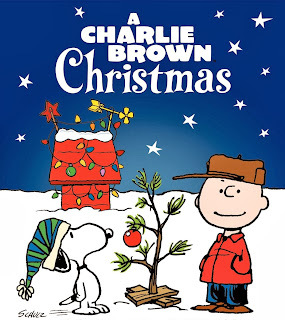 After the hints about Christmas from the Grinch and Rudolph I finally turned to that trusted friend Charlie Brown. In A Charlie Brown Christmas Charlie Brown is struggling to find out why Christmas is so depressing. He seeks advice from this local psychiatrist, Lucy, who gets him to direct the school Christmas play. Well, this doesn't go very well. 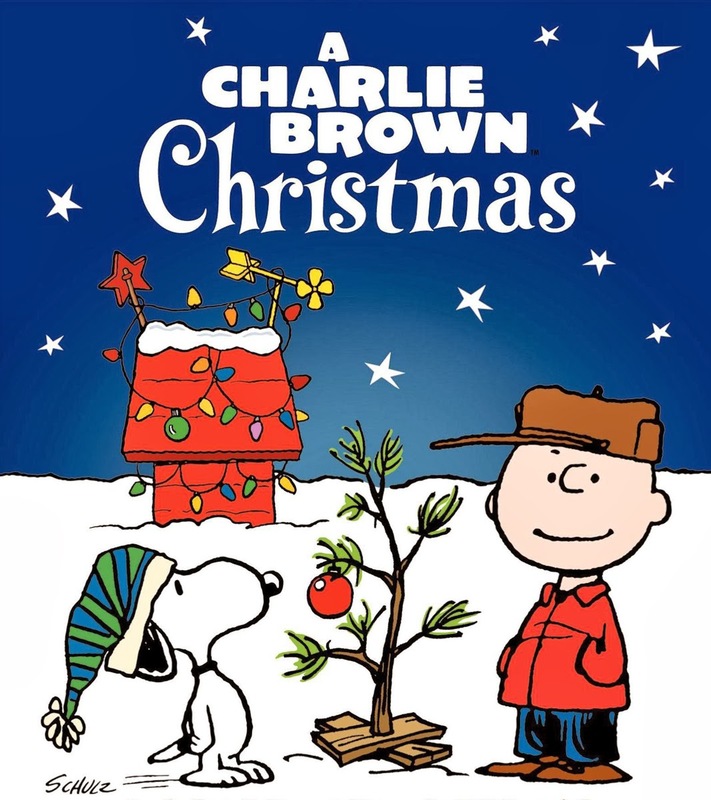 Eventually, Charlie Brown is rejected as director and asked instead to go buy a Christmas tree for the play. 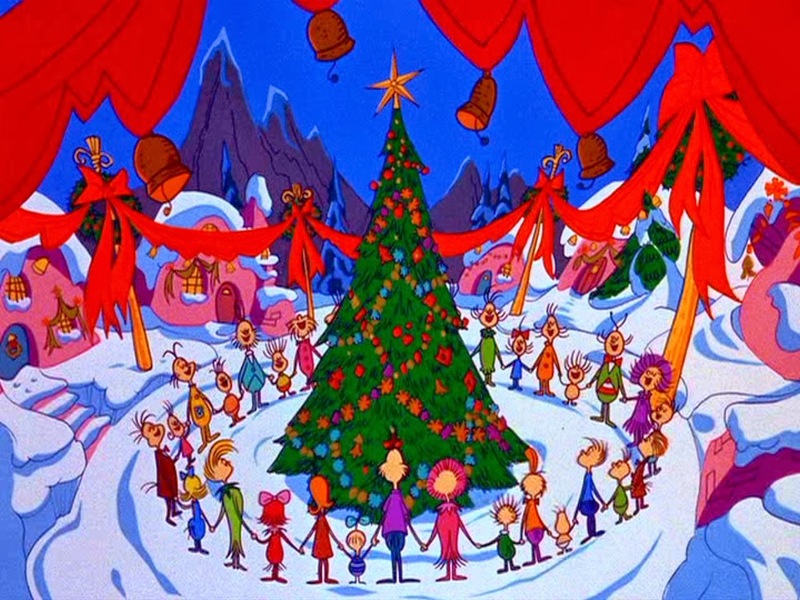 Most of the symbolism in A Charlie Brown Christmas focuses on the tree he picks out. Out of all the shiny, bright artificial trees Charlie Brown picks a real but forlorn little tree that isn't much more than a branch. Charlie Brown takes this tree/branch back to the cast and they laugh at both him and the tree. This ridicule pushes Charlie Brown over the edge and he finally screams, "Would someone please tell me the true meaning of Christmas!!!!!" At which point Linus steps forward. But before we hear Linus's answer, let's reflect on the symbol of the forlorn little Christmas tree. It's a humble little tree, not much to look at. And it's rejected and despised by men. And yet, it is real. All those flashy other trees are dead, cold, and fake. They are empty and hollow. But this fragile little tree is REAL. It's fragile, but real. And all this taught me that whatever Christmas is about, it is about something that is humble, about something fragile and weak, about something that is despised, marginalized, and overlooked. It is life, it's real, but it's so humble that it is easily overlooked and passed over. Further, its humility makes it a stone of stumbling, a scandal, and a reason for offense. 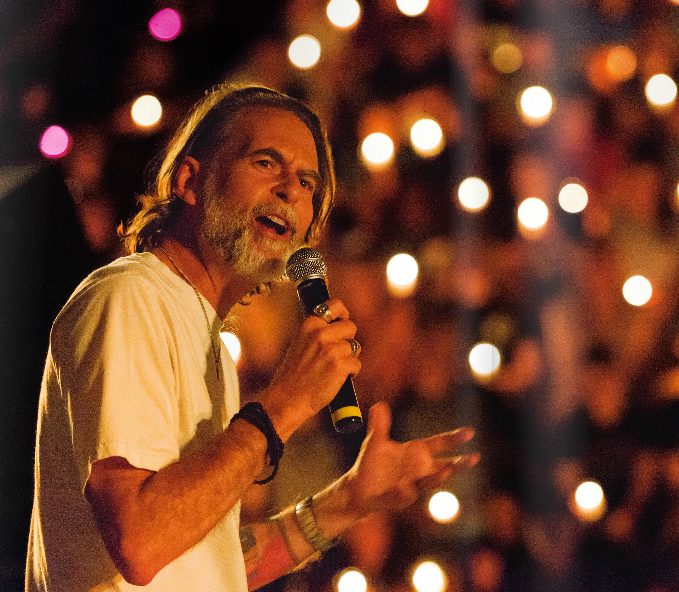 I learned that Christmas was MORE and that it had something to do with finding community. I learned that, because of Christmas, there were no more misfits, no more outsiders or marginalized ones. I learned about empathy, compassion, and that Messiahs might be misfits. 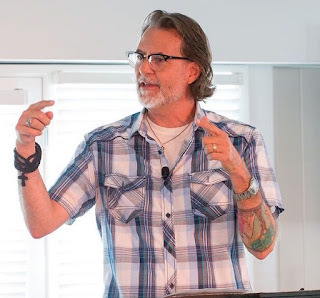 I learned about how community can be the route for the redemption of evil. 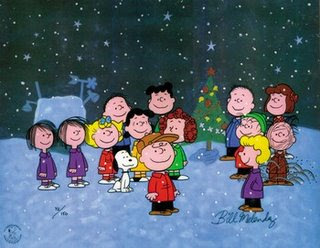 And here with Charlie Brown, I learned that the humility of Christmas makes it oft overlooked and despised. 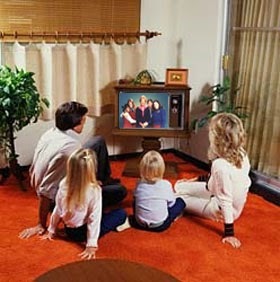 But to this point in all this TV viewing no one ever connected the dots among all these things. No one had spoken the word that explained just what all this stuff had to do with Christmas. So I perfectly understood why Charlie Brown screamed "Would someone please tell me the true meaning of Christmas!!!!!" May there be peace on earth and good will toward all. Merry Christmas.